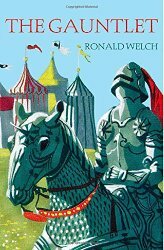 I was interested to read this Carnegie medal winning author from the 50s, and found this an enjoyable read (though with some reservations, as detailed in the last paragraphs) I discovered that this particular book was not the Carnegie medal winner – that is another with the same overall setting – medieval warfare – Knight Crusader. Peter Staunton, a young, clearly upper-middle class boy, and his ditto friend Gwyn, are staying with Gwyn’s uncle `in the Welsh Mountains’. 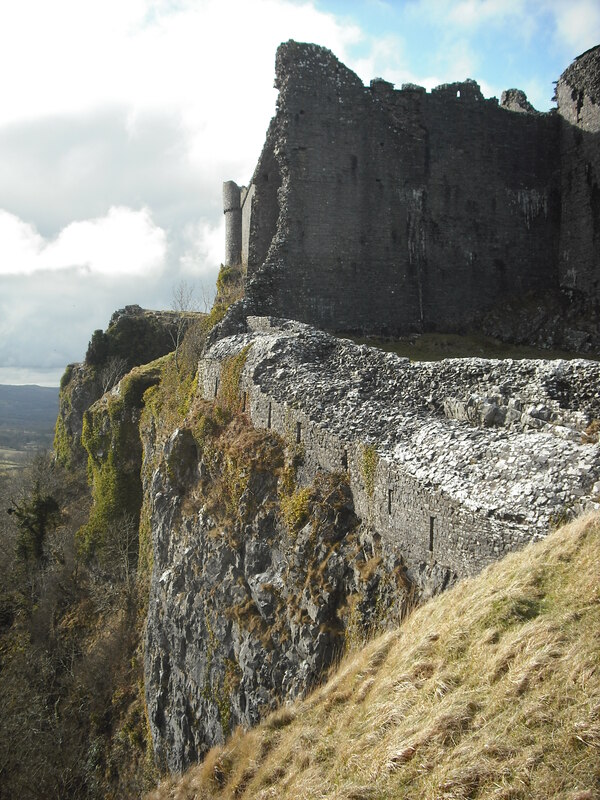 As Gwyn (devoted to things scientific) and Peter (drawn to history) walk in the ruins of an ancient Norman Castle, Carrag Cennen, Peter discovers a medieval gauntlet, which has the mysterious power, as he later discovers, to take him back in time to 600 years ago. To aid the young (or even the adult) reader, Gwyn’s uncle and the friendly local vicar, history buffs both (like the author) offer twentieth century instruction on the Normans and their battles with Welshmen and women whose lands they had captured. Very fortunately for Peter this advance tuition does happen before he does, in the end, go back in time, preventing him from making a complete idiot of himself. Gwyn’s Uncle and the friendly Rev do also manage to darkly tell the boys about certain local myths which will explain why and how Peter has the mysterious gauntlet experience, since it turns out he is descended directly from the de Blois Norman knights whose castle it was. And, surprise, surprise, once back in time, he also meets a boy who looks remarkably like Gwyn but is the son of the main Welsh chieftain, active in resisting those Norman Conquests in his area. I have no hesitation in recommending it to its target audience – any boy who is a fan of invented warfare, of the Star Wars variety, might be intrigued by the same tales of derring-do carefully set in a very real, but equally `alien’ world – that of 600 years ago. As an adult, there is probably a little too much obvious instruction of the reader about the things he doesn’t know, using Peter’s lack of knowledge, to be credible – it’s a device I particularly get irritated by in adult fiction, where two characters, who WOULD have knowledge, are made to give the reader, who lacks the knowledge, vital technical information – the device where Einstein turns to Niels Bohr and says, “so, Niels, remind me about the basics of particle physics, there’s a good chap!” – Or, in this case, Peter, firmly back in the fourteenth century, son of a powerful knight, who all his life has been defending the territory, is continually saying “so what exactly is a trebuchet?” “what is a mangonel?” and the like. 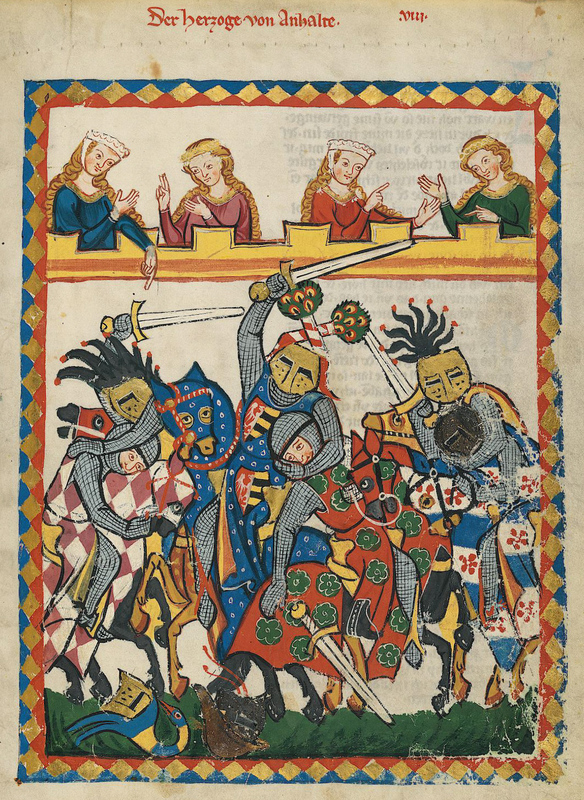 Curiously, Roger de Blois, Peter’s fourteenth century father, does not seem to wonder why his son seems to have forgotten everything about medieval warfare, armoury, jousting, falconry and the like. Some books written for children do seem to be able to be read with critical surrender by adults – this was not one of them, I felt every one of my more sophisticated and mature years, and the gender gap, very keenly – not to mention the uneasiness of someone who is sensitive, as a denizen of a `United Kingdom’ of the substrate of patronisation of the Celtic races which is part of our history. I’m not quite sure, even for young boy readers in the time this was written, whether this would have been such an enjoyable book if you were Welsh, as opposed to English. So – probably a fabulous book for a young boy who is not Welsh, who loves tales of the olden days, a good bit of derring-do, and fine writing. 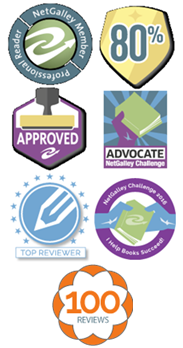 For them this may be 5 star, I’ve docked a star because I can’t escape from the culture of my own time, place and gender. I guess this IS the advantage where enemies are intergalactic – you can make the bad guys anyone and no one! Well I did think of you, or rather your son, as I read this. And as well as floor spitting there is also the obligatory tipping of the wine lees onto the floor and throwing the bones on to the floor as well. Probably not the best historic period to be a vegetarian with a liking for quietness. Even the abbot is a definite gourmand, quaffing happily with the best of them. And as for the jolly jousts, they make boxing matches look like embroidery classes of pacifistic behaviour! I hope your son’s battering ram wasn’t used on your own castle! As far as abbots are concerned, I think they’re pretty well known for making all sorts of lovely spirits, aren’t they? Had to drink something to keep the chill of those old monasteries at bay.